Discodoris boholensis is one of my favorite tropical dorid nudibranchs. I'm not really sure why, but it must have something to do with the fact that it so photogenic, as seen here. Originally described from the island of Bohol, in the Philippines, it is recognizable by its brown color with black and white spots and lines on the body. The notum is relatively flat with undulating margins and a prominent central hump. The white specks on the rhinophores and white lines along each branch of the gills make this species a particularly nice photo subject. Details regarding the egg mass of D. boholensis can be seen in a pic taken on a May field trip to the Philippines. 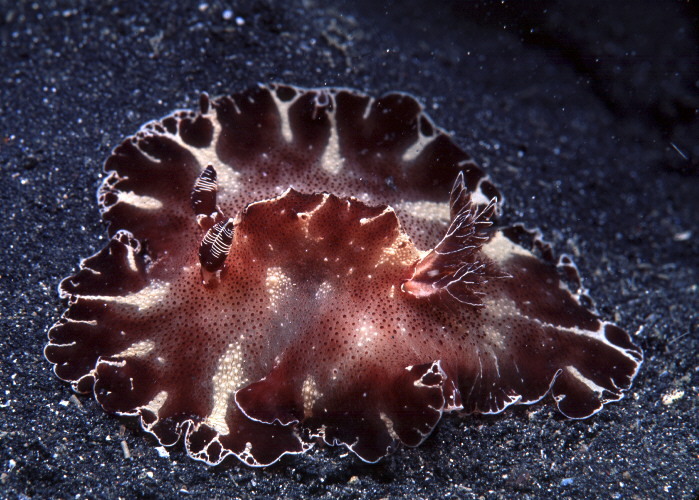 Discodoris boholensis is a sponge grazer, but is often seen crawling about in the open. It has a wide distribution, from South Africa (Tanzania and Madagascar) to Australia; Fiji; New Guinea; Indonesia; Philippines and Okinawa. Marc Chamberlain is by vocation a neurologist and by avocation a wildlife photographer. He enjoys traveling during which he is always toting cameras. His diving holidays have been to the Carribean, up and down the west coast of the Americas and throughout the Indo-Pacific. His photographs have appeared in numerous magazines including: National Geographic; International and National Wildlife; Ocean Realm; Outside; and various Cousteau Society publications. 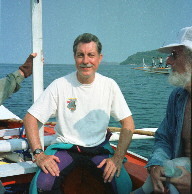 Marc has collaborated on several books with marine biology themes. 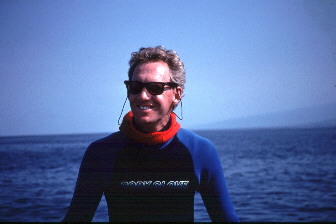 Marc was also San Diego Underwater Photographic Society Photographer of the Year six times during the time he lived in the San Diego County area. Marc has participated in thirteen consecutive San Diego Underwater Society Film Festivals which has to be a club record! © The Slug Site, Michael D. Miller , 2000. All Rights Reserved.